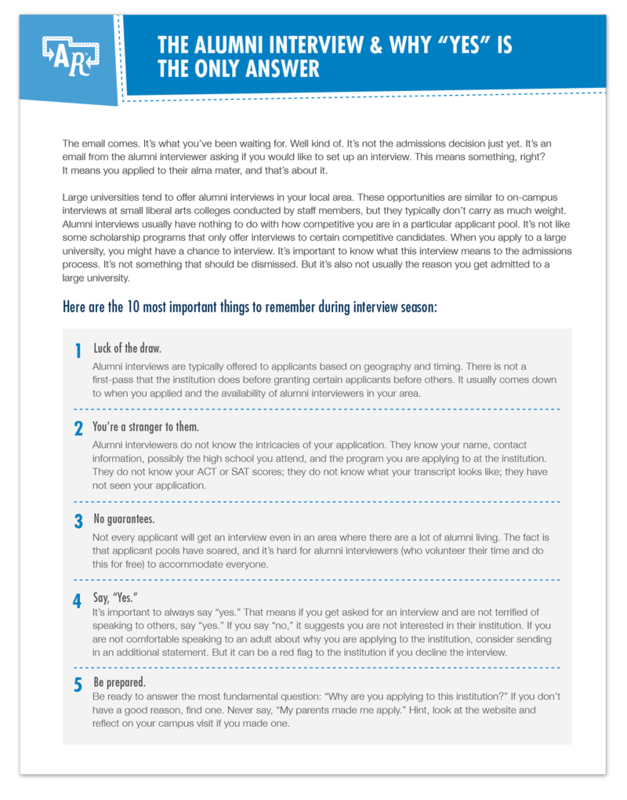 ARE YOU PREPARING FOR YOUR ALUMNI INTERVIEW? If you have the opportunity to speak with an alum from your dream college, you'll want to ace your interview! To help you out, we have the 10 most important tips to remember—FOR FREE!